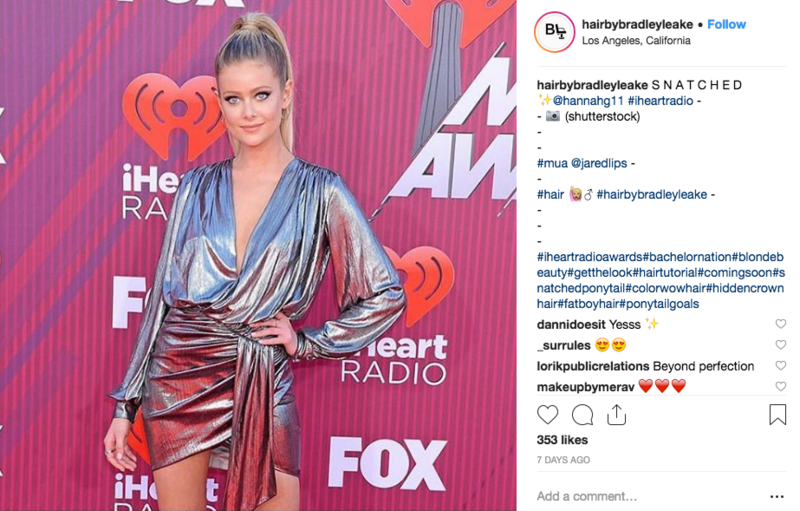 Stassi Schroeder from Vanderpump Rules at iHeart Radio Awards in Hidden Crown Hair! Stassi Schroeder from Vanderpump Rules rocked her Grace Kelly inspired waves at this years iHeart Radio Awards! 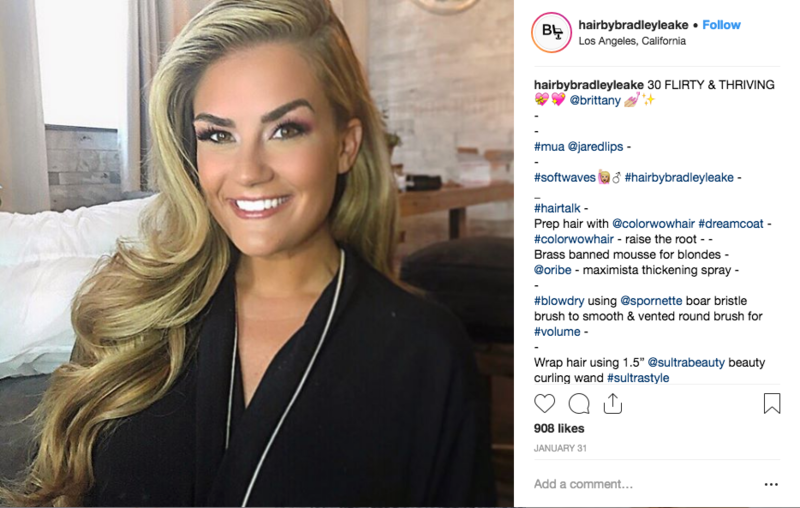 Celebrity hairstylist, Bradley Leake shows a step by step tutorial using Hidden Crown Hair extensions on how he created this look (Visit link below!). She completed her look with this elegant off-the-shoulder white gown and glowing face. 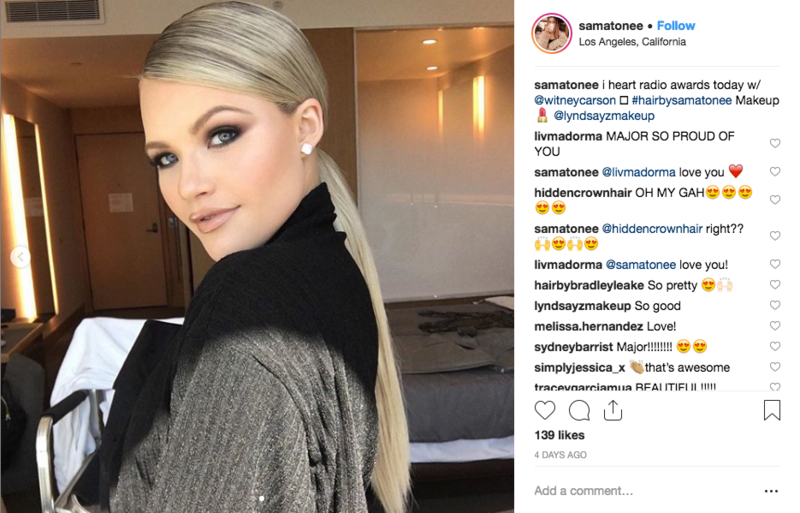 Check out more Celeb looks styled by Leake using Hidden Crown Hair Extensions! 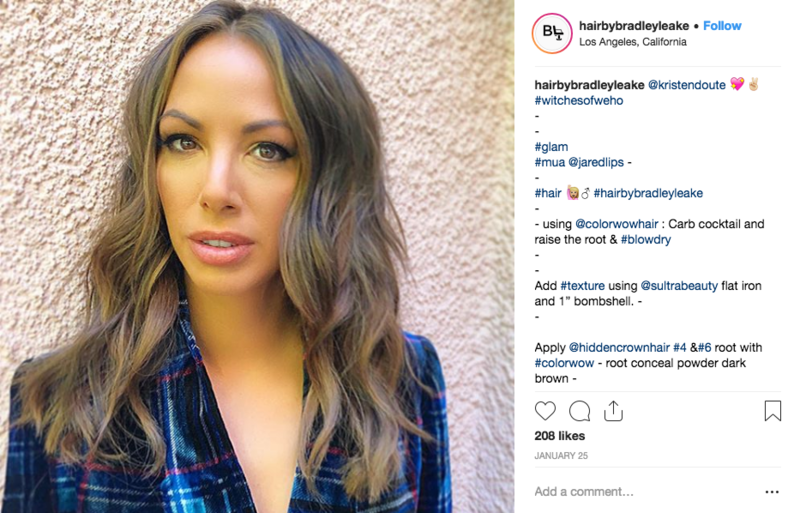 Click HERE to create Stassi's look! Bibiana Julian star of the Bachelor and Bachelor in Paradise at iHeart Radio Awards wearing Hidden Crown! 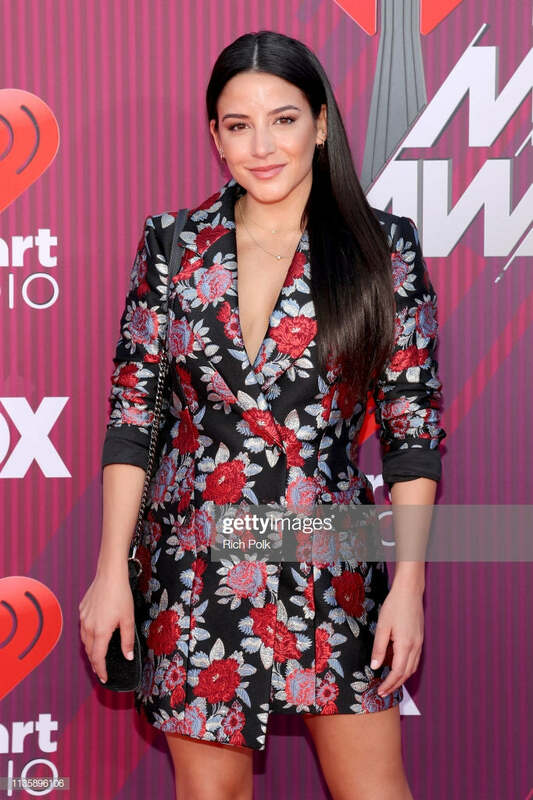 Bibiana Julian attended the 2019 iHeartRadio Music Awards on March 14, 2019! She came READY to turn heads in chic short florals topped with Hidden Crown Hair. 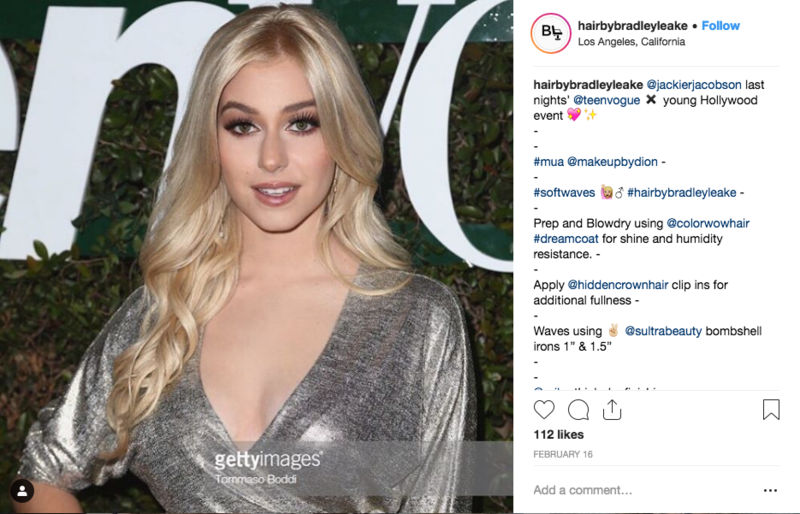 Styled by celebrity hairstylist, Bradley Leake. Leake Gave Julian long, straight vibes with a little help from our Clip-Ins in color #2. Can someone say PERFECT MATCH?! 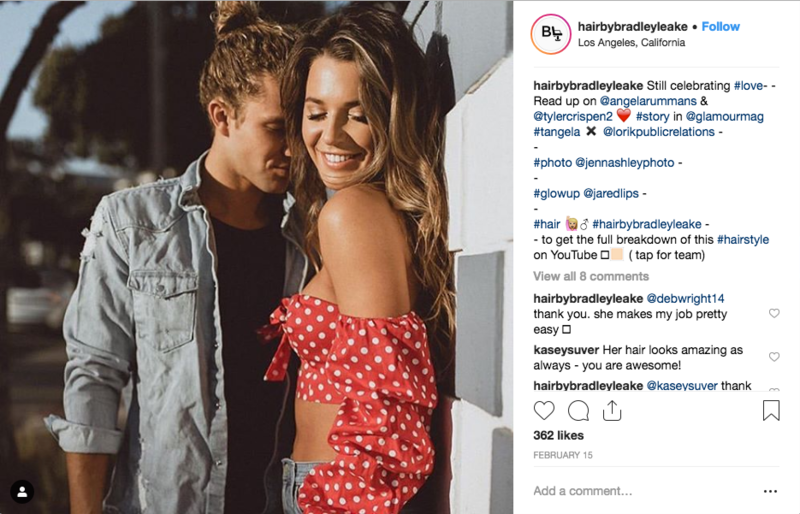 Check out more of his work using Hidden Crown Hair Extensions below! Have Longer Hair for Spring Break! 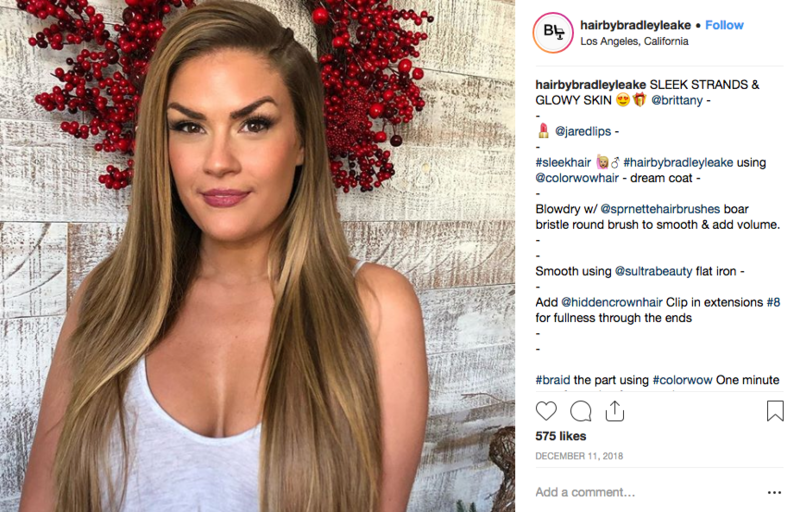 From now until Thursday, March 21, 2019, take $20 off any extension with Coupon Code BREAK20. Have Longer Hair This Spring Break! [BREAK20] at checkout to save!